The recent flurry of threats between Kim Jong-un and Donald Trump has caused much consternation. Threats can indeed be dangerous but only when they are followed up by hostile action. 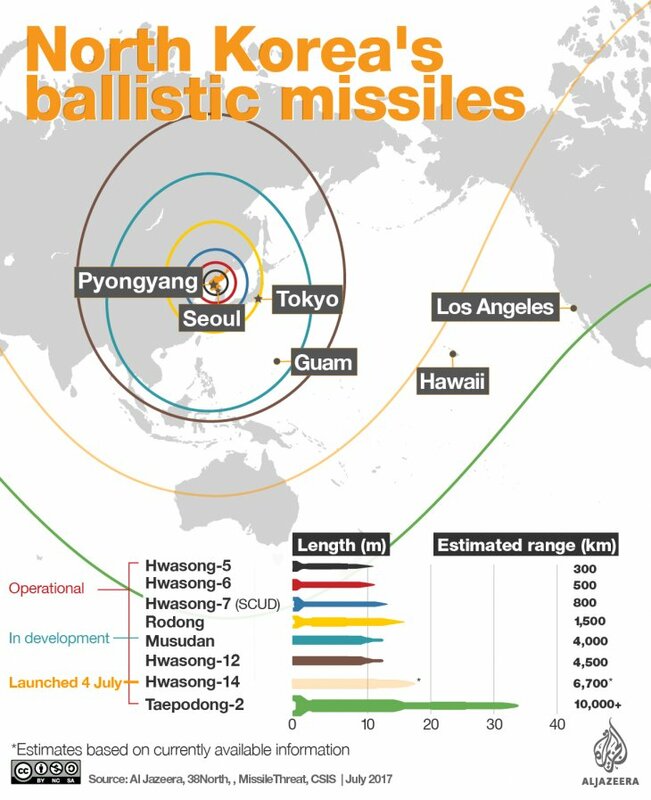 The latest important developments in this crisis have been North Korea’s July 4 and July 28 tests of long-range missiles that may be able to reach the American continent, and the UN Security Council’s unanimous decision on August 5 to impose new harsh sanctions on North Korea. These sanctions may cause much hardship for the North Korean population, and if China and Russia implement them loyally, they may also harm the ruling class in Pyongyang. I see three scenarios for how the Korean crisis can develop in the next year: War, permanent crisis or a negotiated deal. The first is least likely, the second very likely, and the third more likely than war. No one wants war. It would spell the end of the Kim dynasty (Kim Il-sung 1912–94; Kim Jong-il 1941–2011; Kim Jong-un 1984- ), and could cause a tremendous disaster in South Korea, maybe also in Japan – if North Korea were able and willing to launch a nuclear attack on its former colonial master. Although not directly, the US would also be harmed in this scenario. If it decides to launch a military attack against North Korea, then this could cause an uproar in South Korea, causing the US to lose its Korean ally. Moreover, the White House and the Pentagon are no doubt aware that the North Korean regime is not a ripe fruit ready to fall, as it relies on a disciplined army and population. The power of the Kim dynasty is based on fear, faith and pride. People live in constant fear of the government. Yet many combine their fear with faith in the “great leader”. North Koreans are immensely proud of their nation and its history. Together these three factors provide for a high level of discipline. Although North Korea’s main weapons and command centres might be quickly destroyed through US precision-bombing, North Korea’s command structure would most likely function in the opening phase of a war, thus allowing Kim to launch massive artillery and missile attacks against the South Korean capital Seoul, with its more than ten million inhabitants. Why is war still possible? 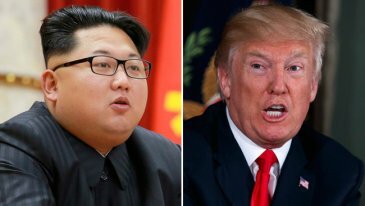 The risk of war increases if Kim decides to launch new missile or nuclear tests and Trump then decides to send aircraft carriers, submarines and troops to the Korean peninsula in an attempt to force Kim to the negotiating table. Either side might then convince itself that the other is about to attack, and conclude that a pre-emptive strike is necessary. Both sides know how advantageous it will be to strike first. Will the crisis just continue? A permanent crisis is likely, since the US and North Korean objectives are incompatible. Kim doggedly pursues his aim to have the same capacity as Russia and China to strike the American continent. This would deter US attacks against his country. A succession of US presidents have seen this as totally unacceptable. Trump has said “it will not happen”. The US has made it a precondition for negotiating with North Korea that it totally give up its nuclear weapons. This makes it all but impossible to reach a negotiated deal between the two sides. The North Korean nuclear crisis has already lasted for a long time. Trump is trying to overcome George W Bush and Barack Obama’s “strategic patience” by forcing North Korea with Chinese help to give up its nuclear weapons. Kim, however, defies Chinese advice and Beijing does not want to provoke a total crisis with the country it helped to save in the Korean War. The most likely scenario is therefore permanent crisis. The current situation is particularly difficult for Kim Jong-un, since Russia and China have decided to join the US in applying sanctions. Their reasons, however, have much to do with a need to avoid too much US hostility against themselves. If the relationship between the US and Russia/China worsens, if the US becomes preoccupied with a crisis somewhere else, or if the internal political crisis in Washington prevents Trump from pursuing US foreign policy goals, then the pressure on North Korea will lessen. The most promising venue now for negotiations may be talks between the two Koreas. Moon Jae-in, who took over as South Korean president in May this year, has since tried at once to establish trust with Donald Trump and engage in rapprochement, including military-to-military talks, with North Korea. When Trump made his “fire and fury” threat, Moon Jae-in called him to protest. Trump accepted the call and talked with Moon for an hour. At ASEAN’s foreign minister summit in Manila on August 5-6, the South Korean, Chinese and Russian foreign ministers met separately with North Korean foreign minister Ri Su-jong. Russia and China seek a temporary agreement whereby North Korea abstains from any further missile and nuclear tests, while the US and South Korea pledge to abstain from further military exercises of the kind that led to acute crisis in March-May this year. Such a temporary agreement would not satisfy the US demand that North Korea abandon its nuclear weapons, so the US would probably not sign such an agreement. Yet Trump might allow his South Korean ally to make a temporary deal in order to buy time and deflect the ongoing crisis. Moon Jae-in is a would-be agent of peace. If Kim Jong-un could make his first travel outside North Korea to Seoul in return for presidents Kim Dae-jung and Roh Moo-yun‘s visits to Pyongyang in 2000 and 2007, then it would be an important step on the road to peace in Korea.